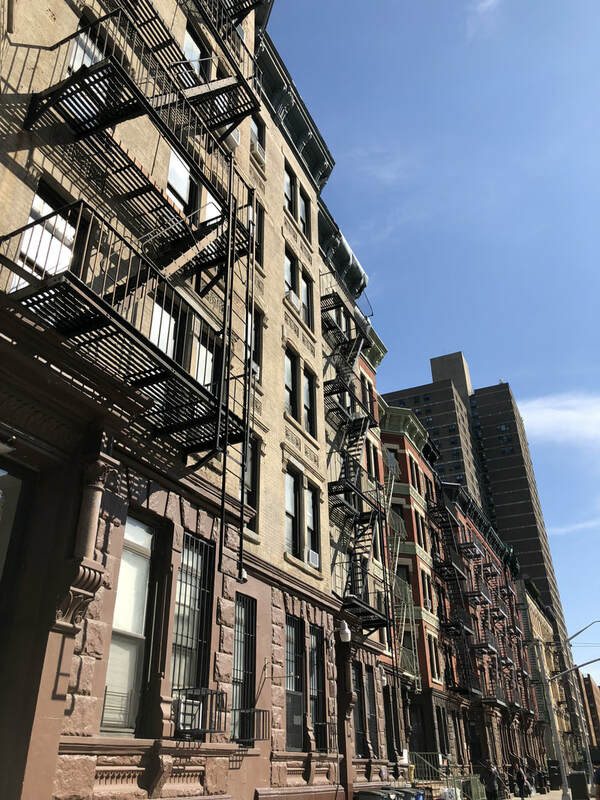 Manhattan’s Upper East Side has come to epitomize luxury in all of its facets. Anchored by New York City’s big-name department stores and fashion brands of Madison and 5th Avenue, the Upper East Side has become the perfect platform for building a luxury brand. 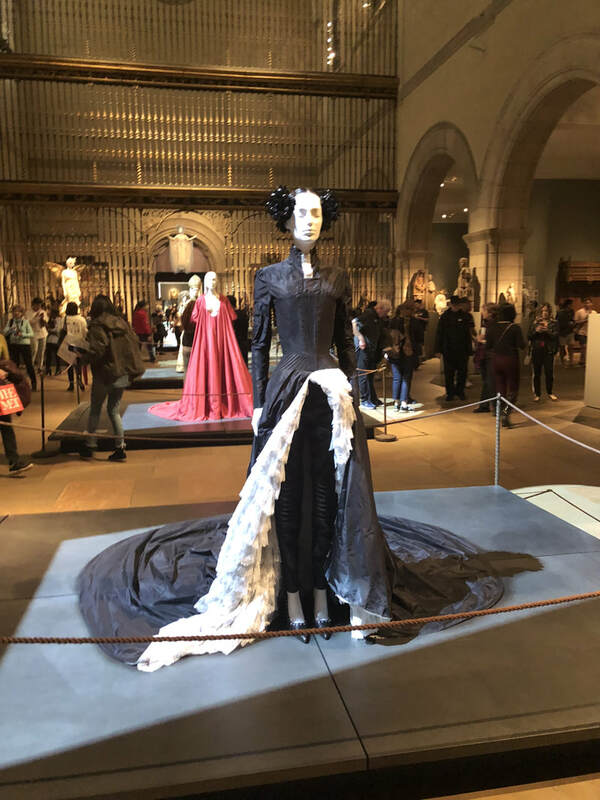 At the turn of the century, the world’s top designers and luxury fashion houses staked their claims into the prime real estate among 5th Avenue, Madison Avenue, and 57th Street. Barneys and Bergdorf’s represent luxury goods in their truest sense on the Upper East Side. 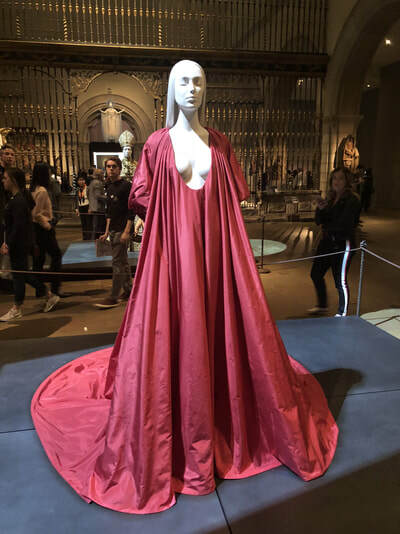 Having introduced many of Europe’s top designers and collections into the American market, they have essentially influenced what luxury department stores are today. 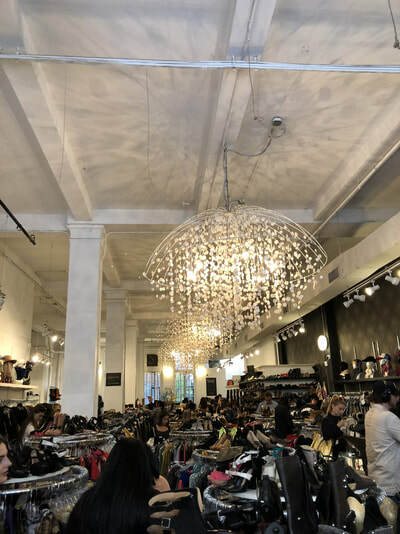 Both of these New York department stores feature ample Men’s and Women’s Ready to Wear Collections in addition to accessories, shoes, beauty, and home goods. 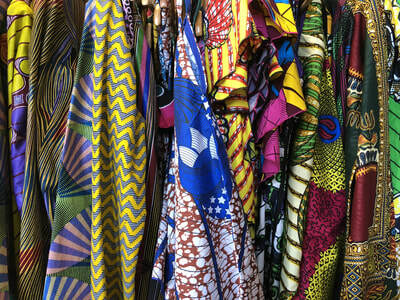 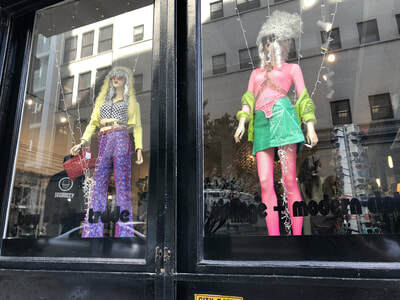 The Upper East Side has also witnessed the evolving influence of American designers like Tom Ford and Tory Burch. 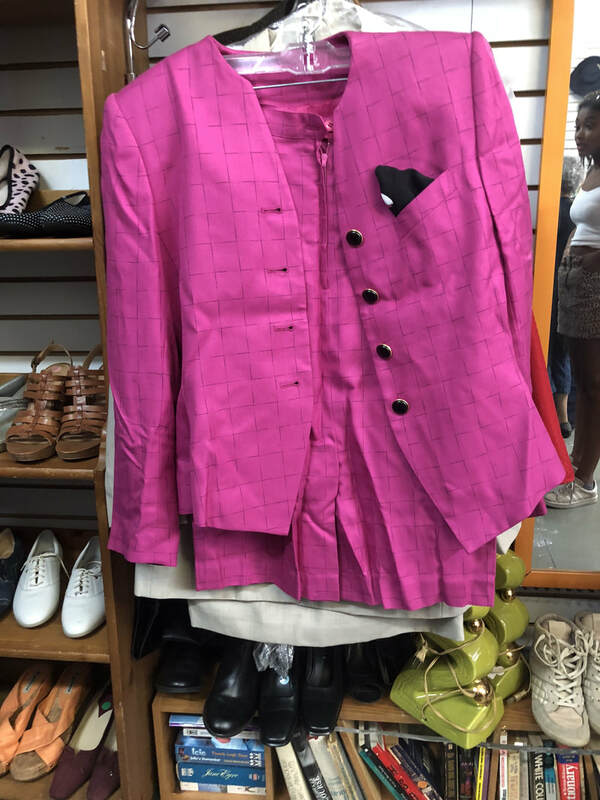 After ushering Gucci’s epic revival in the 1990s, Tom Ford departed from the brand in 2004 to create his own line of luxury menswear. 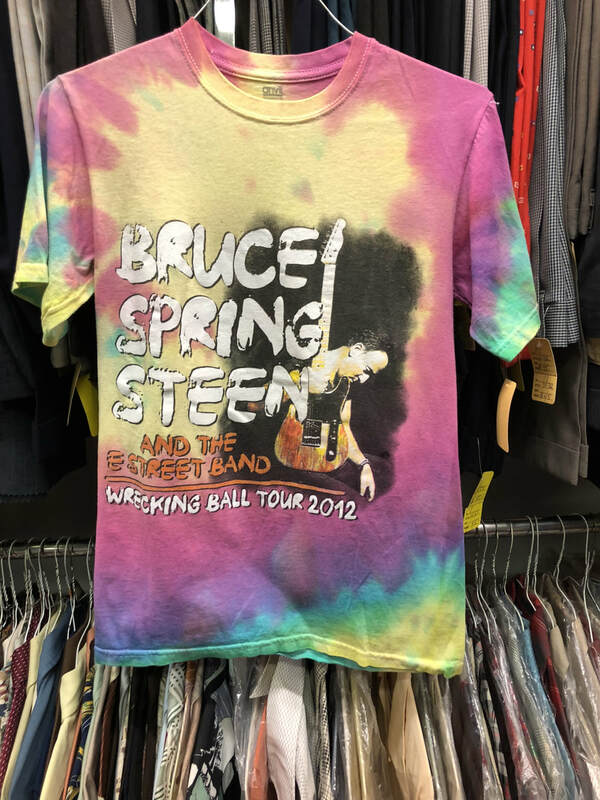 In 2007, his concept shop launched on Madison Avenue, stocking both men’s and women’s ready to wear, accessories, and cosmetics. The stunning William Sofield designed concept shop features a fire place, beaver rugs and butlers in addition to appointment-only made-to-measure suit salons and a mirror lined perfume bar. 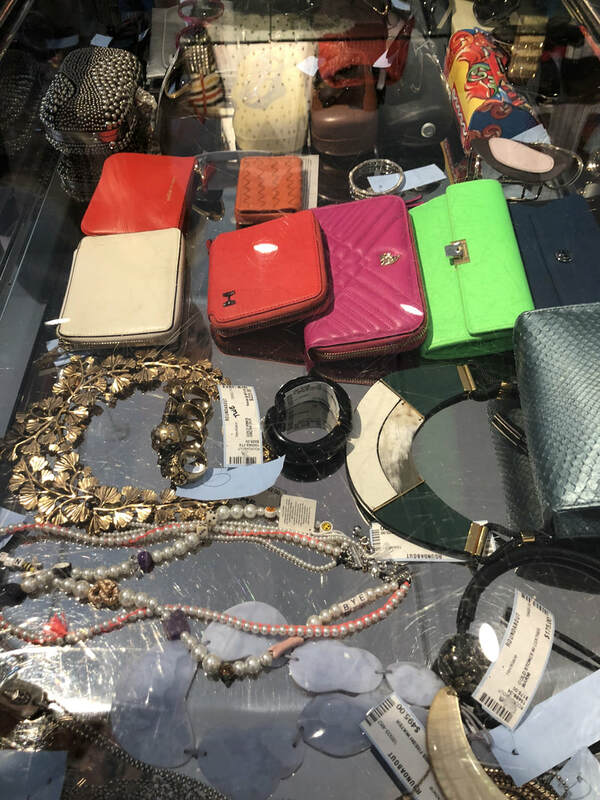 Aside from the aesthetically pleasing and beautifully crafted luxury boutiques and flagships of the Upper East Side, there are many unique consignment and vintage boutiques filled with rare gems from classics fashion houses like Chanel, Versace, Balenciaga, and Lanvin among others. 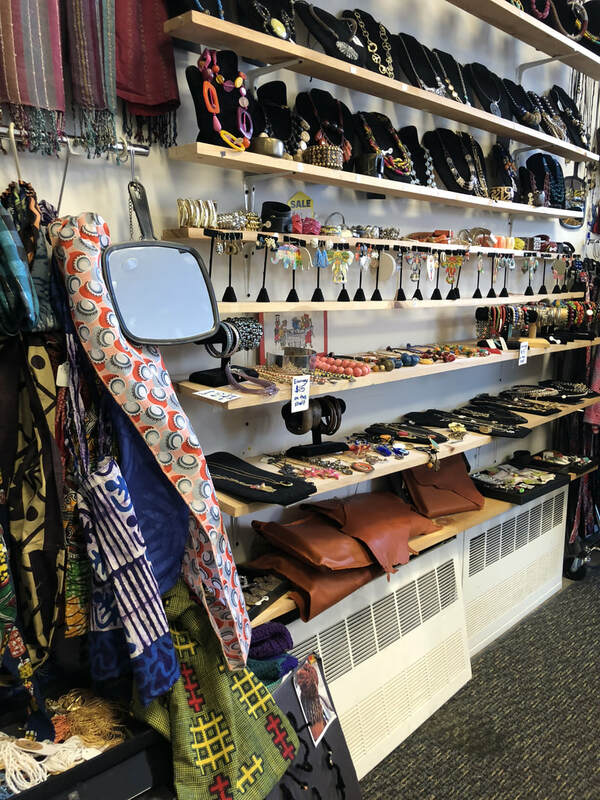 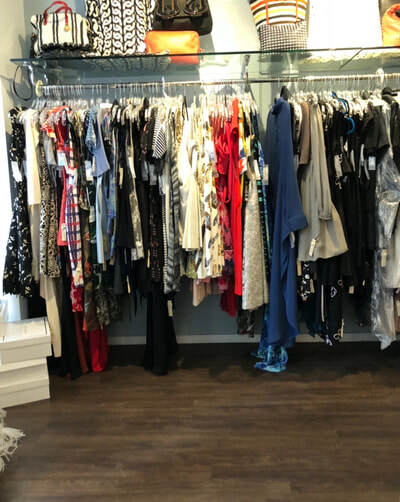 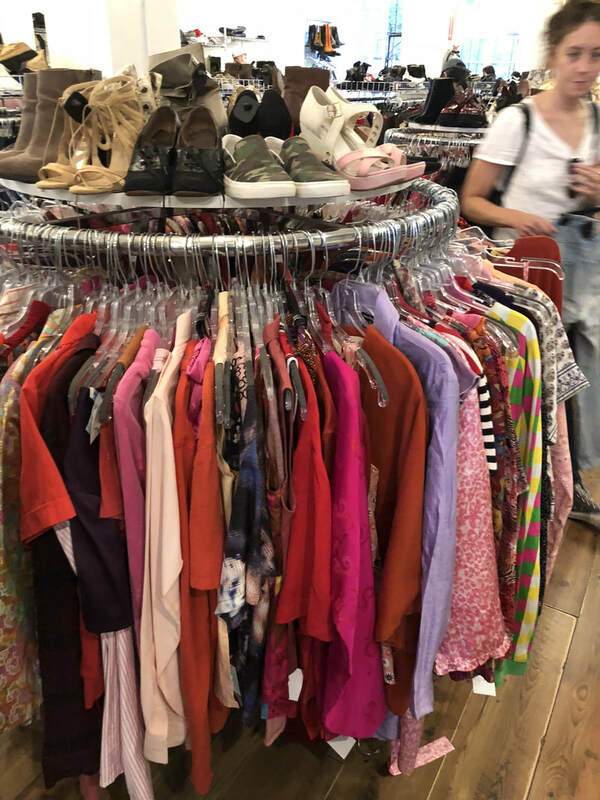 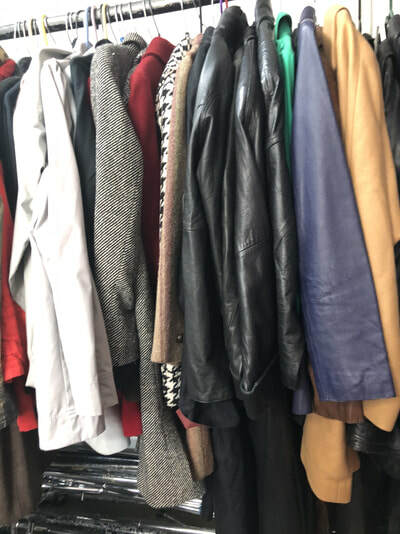 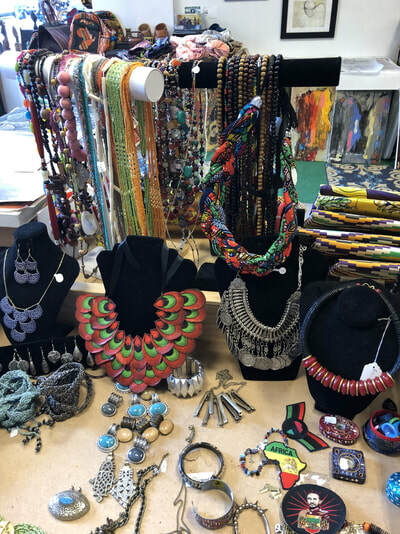 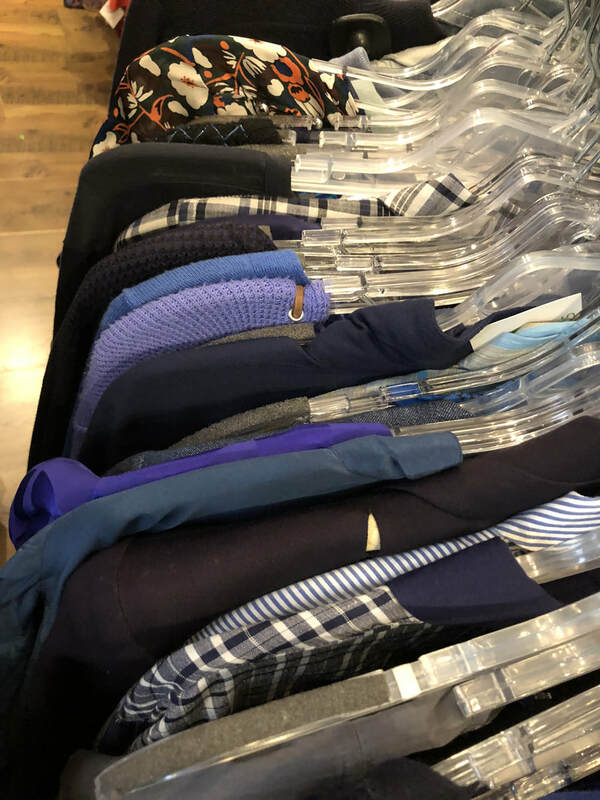 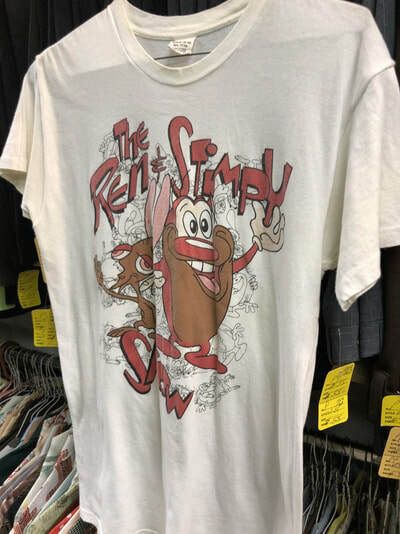 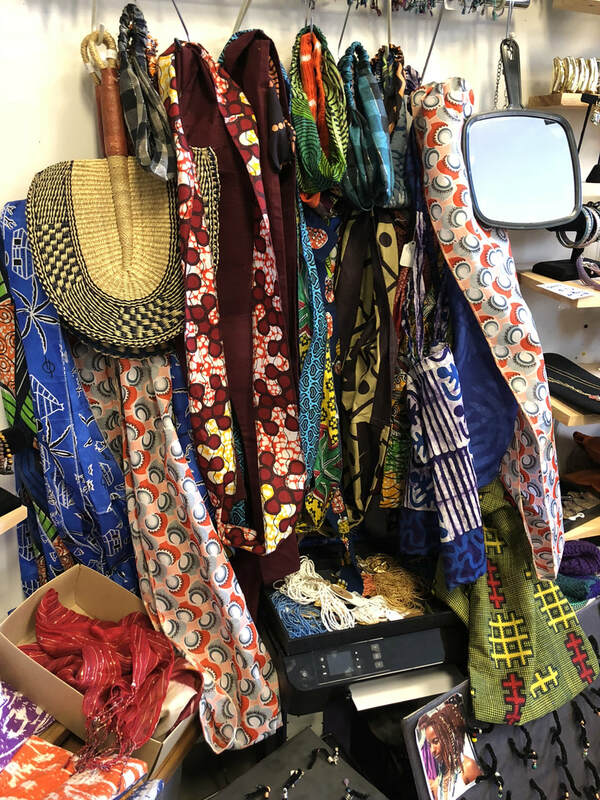 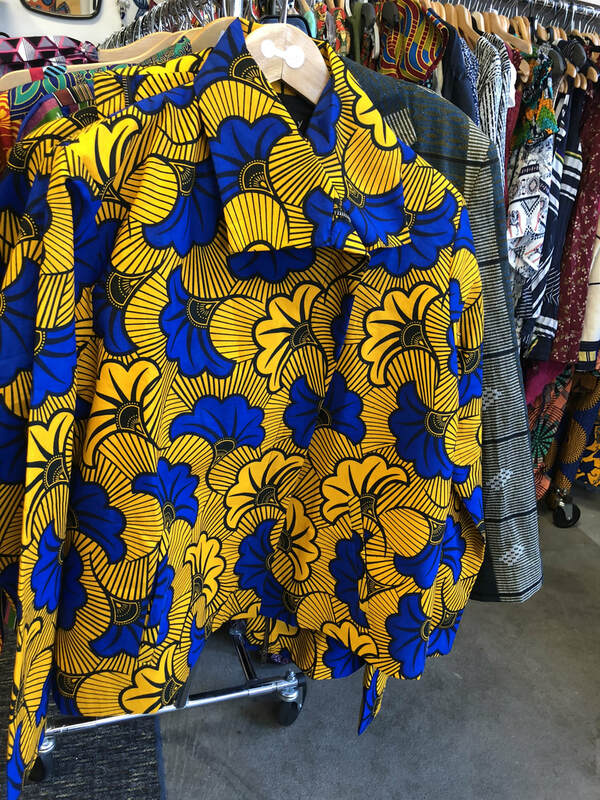 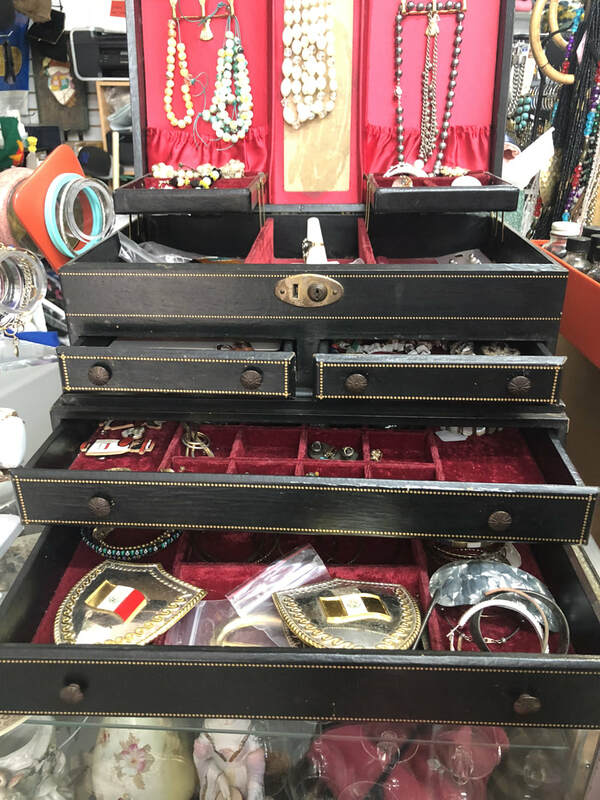 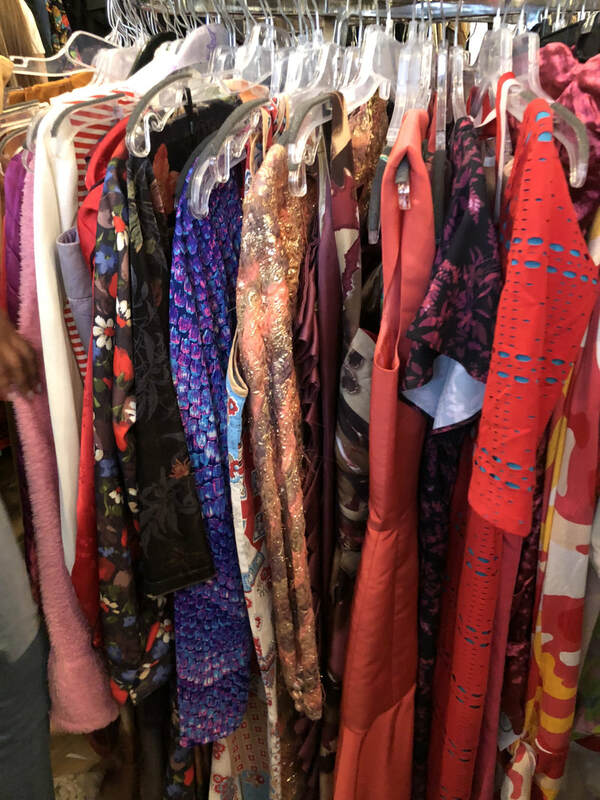 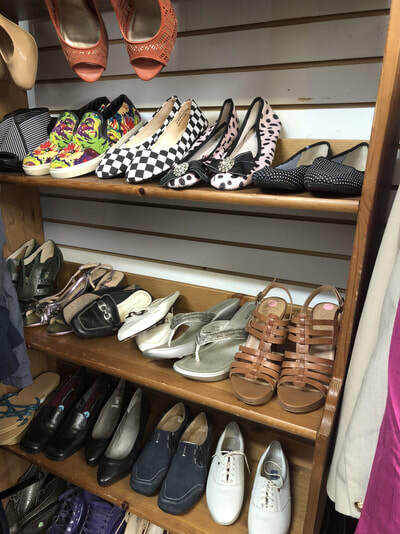 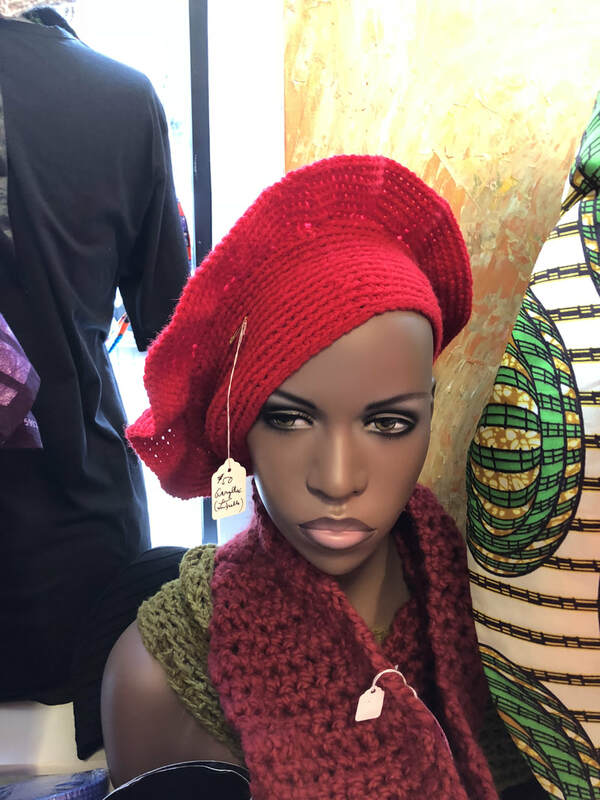 We stumbled upon Roudabout Couture, a consignment and resale store with an incredible selection of pre-owned designer goods from America's best closets and “new” designer pieces from past seasons up to 70% off retail. 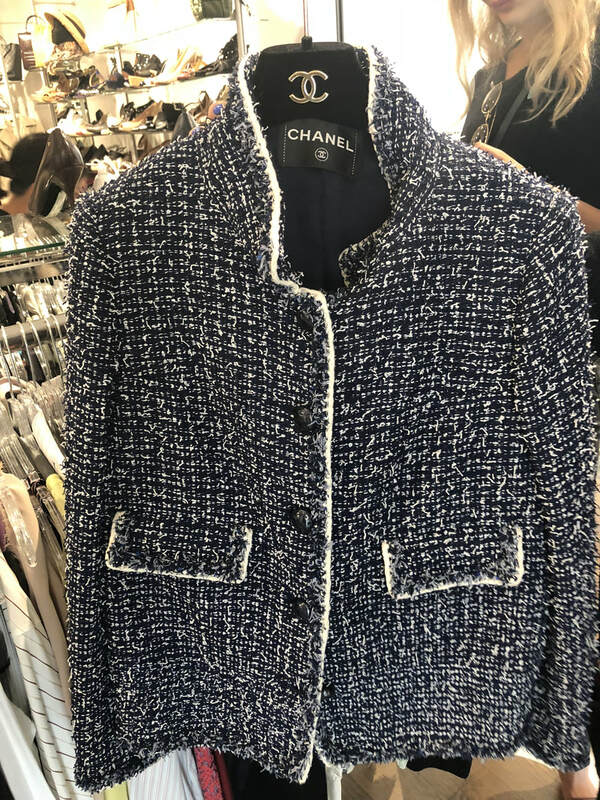 As we perused through their beautiful selection, we came across a pair of silky, crème pajama-like pants with lace detailing from Balenciaga along with a yellow sequined Chanel Flap, and a classic Chanel tweed coat. We also encountered a pair of 7-inch fuchsia Giuseppe Zanotti pumps that Zoë attempted to walk in. Next, we stopped by Michael’s, a consignment shop for women, which specializes in dressing women in high-end designer clothing and accessories for a fraction of the price. 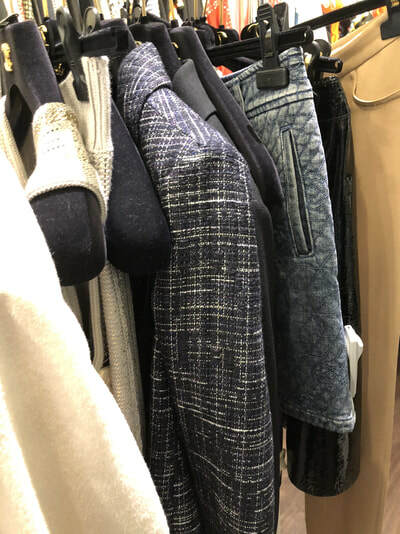 All of the pieces are curated by the Michael’s team who have years of merchandising experience in the high end market. 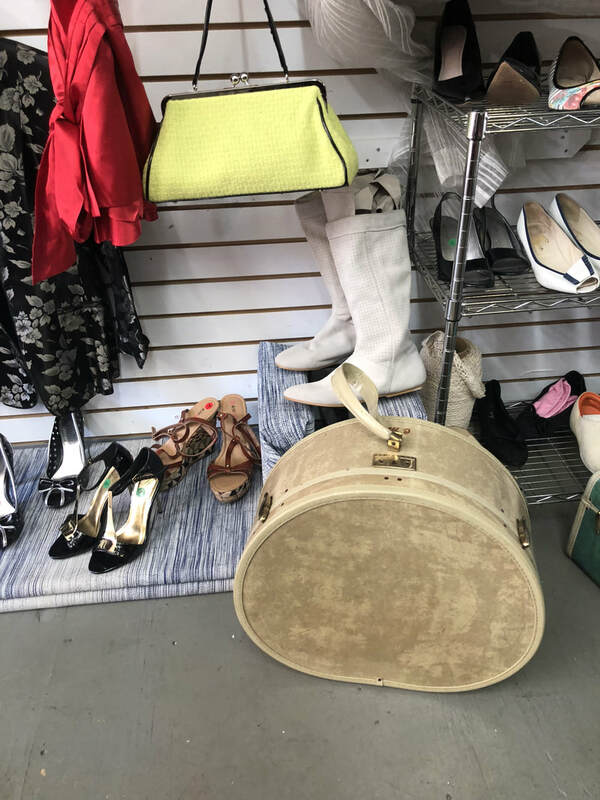 Only items of the highest quality in mint condition actually make it onto their floor. Expect to be immersed in endless Chanel, Hermès, and Louis Vuitton. 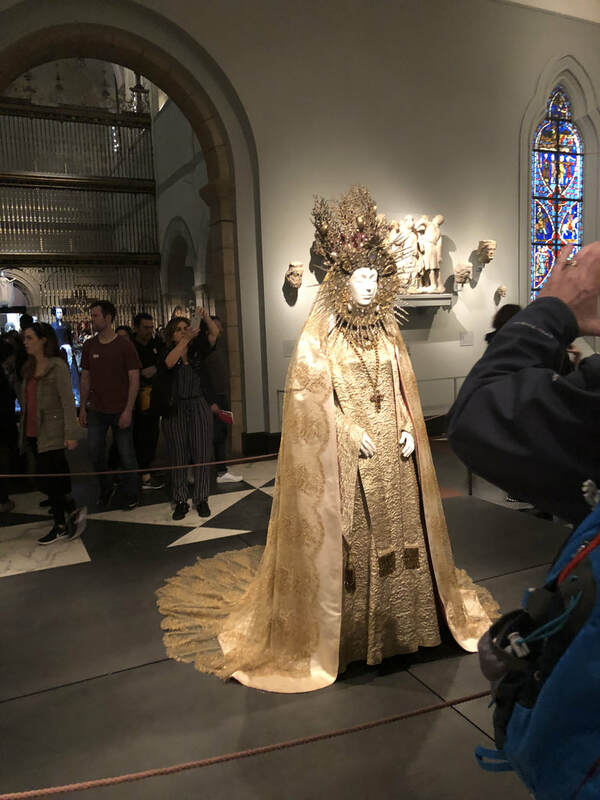 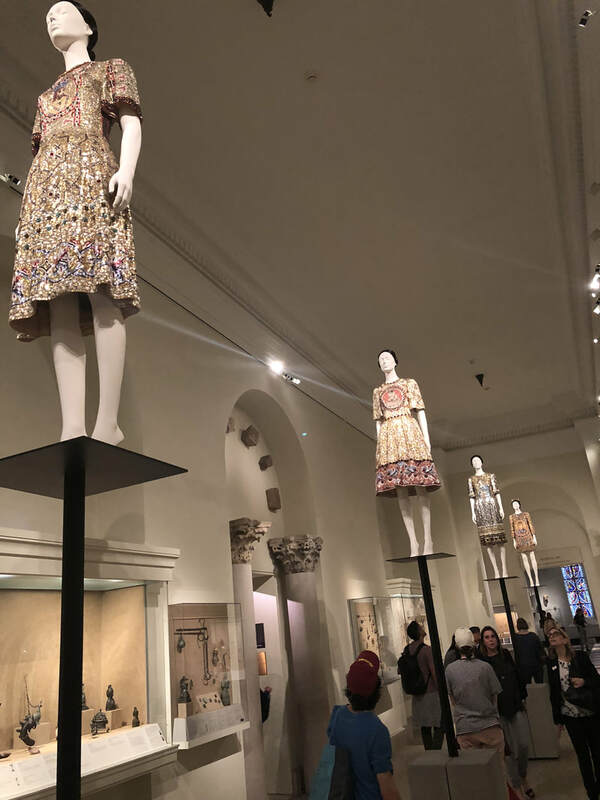 Lastly, we stopped by the Metropolitan Museum of Art to take a look at their newest exhibit: Heavenly Bodies: Fashion and the Catholic Imagination. 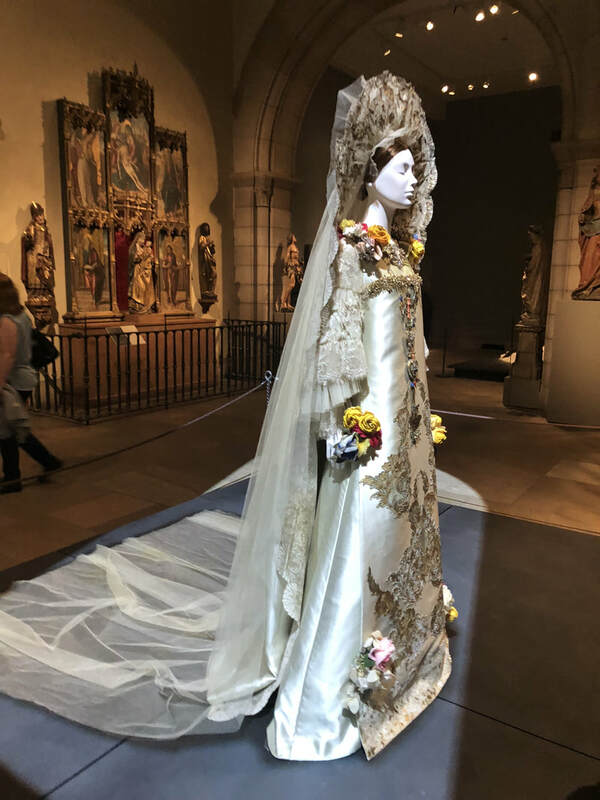 This magnificent exhibit features a dialogue between fashion and medieval art from The Met collection in an effort to examine fashion's ongoing engagement with the devotional practices and traditions of Catholicism. 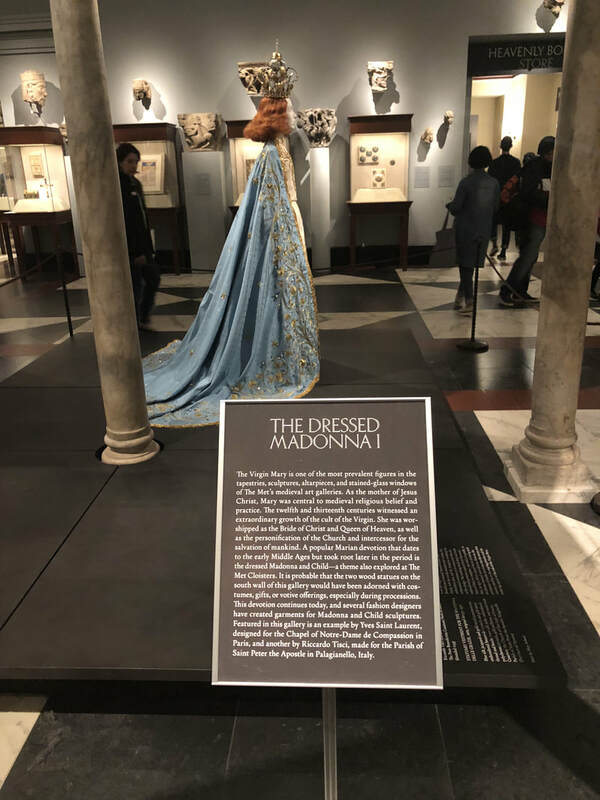 Papal robes and accessories from the Sistine Chapel sacristy served as the foundation of the exhibit , particularly special, as many of these items had never been seen outside of the Vatican. Without a doubt, this exhibit memorized us, having just witnessed the fashions of the Met Gala. 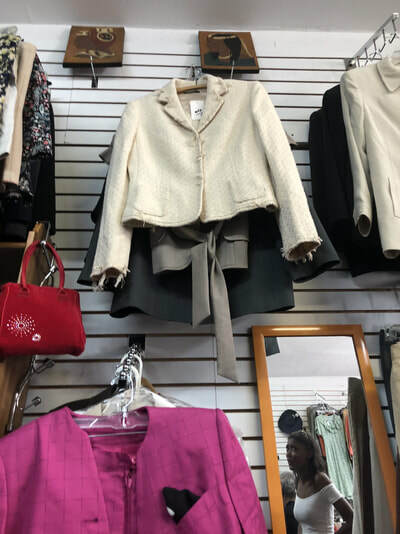 In finality, our trip to the Upper East Side was quite successful, and we look forward to returning soon. 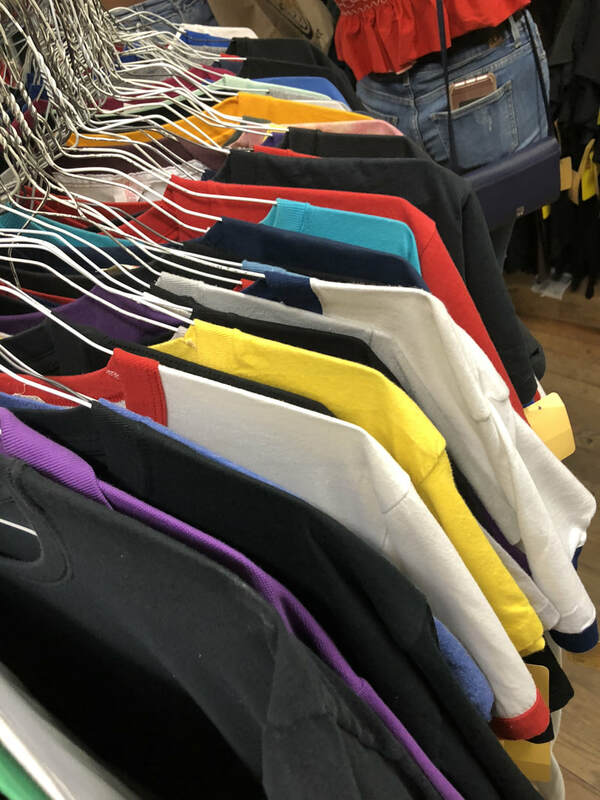 Check out photos below!